The Atomium is one of Brussels, Belgium’s most recognizable, and strange, landmarks. This unique piece of architecture represents an iron crystal magnified 165 billion times. It was built for the World’s Fair in 1958 and was only meant to stand for 6 months. 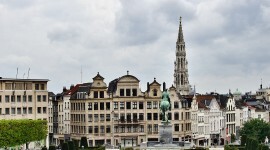 The Belgian people liked it so much, they decided to make it a permanent part of the Brussels landscape. Renovations began on the seriously out-dated Atomium in 2004. Now we have a beautifully shiny structure again. I felt it was high time I paid tribute to this unique landmark in a Forgotten Postcard. The distinct shape of the spheres lends itself nicely to the digital collage technique. I hope you like it! This entry was posted on Thursday, October 7th, 2010 at 12:25 and is filed under Belgium, Digital Art, Forgotten Postcards, Travel and tagged with architecture, art, Atomium, Belgium, brussels, collage, digital art, Forgotten Postcard, landmark, photography. You can follow any responses to this entry through the RSS 2.0 feed. Nice to read that they decided to make the Atomium permanent. Love the image it is also a bit abstract. Thanks Frida! 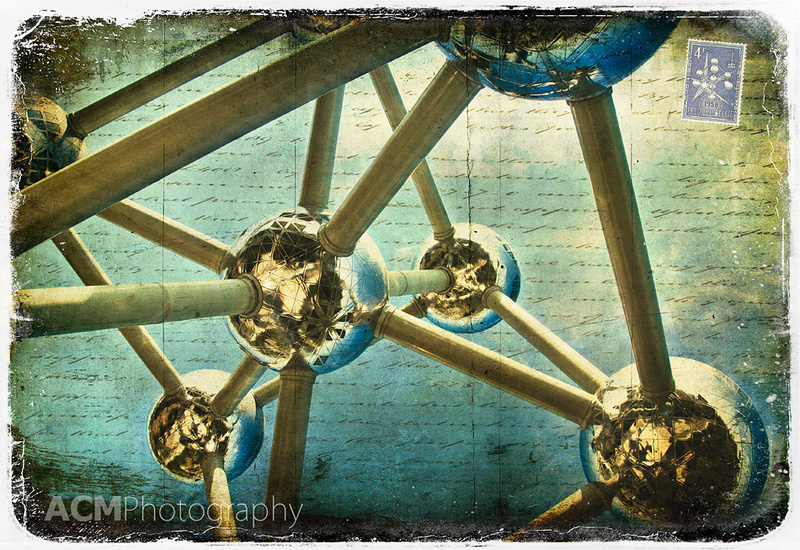 Yes I think it is interesting to photograph the spheres of the Atomium in an abstract way. They offer such interesting shapes. Notebooks and 2012 Agendas are here! Alison Cornford-Matheson is a Canadian photographer living and working in Brussels, Belgium. 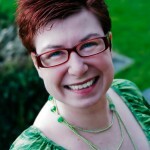 She specialises in garden and travel lifestyle stock photography. In addition, she is a Photoshop professional and produces digital artwork as fine art prints. Alison is available for assignment work and commissions on request. All photographs and text within acmphotography.com are copyright Alison Cornford-Matheson and/or the stated publication and are presented for web browser viewing only. Nothing contained within this site may be reproduced, downloaded, stored, copied, manipulated, altered, or used in any form without prior written permission from Alison Cornford-Matheson and/or the stated publication. Using any image as the base for another illustration or graphic content, including photography, is a violation of copyright and intellectual property laws. Violation of copyright will be actively prosecuted.